Repugnant posters of terrifying sanyasis with lengthy dreadlocks and ash-smeared bodies posing dance-of-death – if you brave all these apparent hints and choose to watch Saamida, here is what you get. A nasty headache and a hangover of frustration for the rest of the day that might follow the next morning too. The story opens up with Amsa Devi being released from the prison – after 14 years of imprisonment. There is pretty much no answer as to why she was incarcerated and hence the initial expectation fizzles out sooner. What follows is a rollercoaster ride of variety of emotions including betrayal, double-crossing, vengeance and disillusionment told with tacky production values. Saamida follows the life of Amsa Devi, who was sold to prostitution in Mumbai at a tender age. She becomes a mistress of an underworld don and they relocate to Varanasi when a gang war threatens their life. Amsa takes over the business after the don is butchered in a gang war. Business flourishes and she adopts a boy, after witnessing his valor in slaying a Police Officer. The boy (Sembi) grows up and becomes inevitable for her business and falls in love. Now Amsa feels an urge to give up the underworld business and insists that Sembi follows suit too. 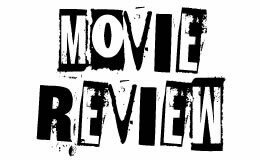 If the plot summary did not make you frown, the botched up screen play, mind numbing action sequences and a sub-plot of a love tale that ridicules the viewer’s common sense makes up for the rest. Not to mention Ragasiya’s item number and the ear-drum cracking music. The only respite in Saamida is the movie’s camerawork done by Srinivasa Reddy. The camera has captured Varanasi in all its rawness and generally the locations in the backdrop. But if you ask us, subjecting yourself to more than two hours of torment only for the locations and camera is simply uncalled for. Verdict – Run for life!